Home Faculty & Staff Dr. Nikolaus McFarland, M.D., Ph.D.
Ubiquilin2 in ALS: Recently mutations in the gene for ubiquilin2 (UBQLN2) have been linked to familial ALS. Ubiquilin2-containing protein inclusions are found not only in familial ALS cases, but also more widely in sporadic ALS/ALS-dementia cases, suggesting a pathogenic role in disease. We have recently developed cell and animal models using viral expression techniques to study the role of ubiquilin2 and ALS-linked mutants in ALS pathology. Initiative for Atypical Parkinsonism: In the Movement Disorders Clinic over the next few years we are developing a multidisciplinary group and approach to help those with Parkinson-plus syndromes, or atypical Parkinsonism such as Progressive Supranuclear Palsy (PSP) and Multiple System Atrophy (MSA). In contrast to classical Parkinson disease, these disorders often do not respond as well to dopamine therapies, progressive more rapidly, and have additional features such as frequent falls, bulbar symptoms, and cognitive decline. These disorders are also particularly challenging to caregivers. More research is clearly needed for better diagnostics and therapeutics. Planetta PJ, Kurani AS, Shukla P, Prodoehl J, Corcos DM, Comella CL, McFarland NR, Okun MS, Vaillancourt DE. Distinct functional and macrostructural brain changes in Parkinson’s disease and multiple system atrophy. 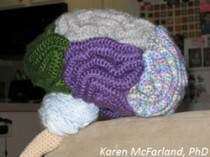 Human brain mapping. 2015;36(3):1165-79. Ceballos-Diaz C, Rosario AM, Park HJ, Chakrabarty P, Sacino A, Cruz PE, Siemienski Z, Lara N, Moran C, Ravelo N, Golde TE, McFarland NR. 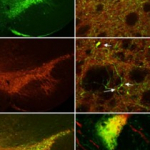 Viral expression of ALS-linked ubiquilin-2 mutants causes inclusion pathology and behavioral deficits in mice. 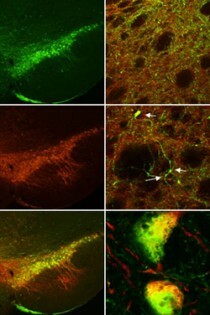 Molecular neurodegeneration. 2015;10:25. PMCID: 4495639. Burciu RG, Ofori E, Shukla P, Planetta PJ, Snyder AF, Li H, Hass CJ, Okun MS, McFarland NR, Vaillancourt DE. Distinct patterns of brain activity in progressive supranuclear palsy and Parkinson’s disease. Movement disorders : official journal of the Movement Disorder Society. 2015;30(9):1248-58. PMCID: 4578977. Amano S, Skinner JW, Lee HK, Stegemoller EL, Hack N, Akbar U, Vaillancourt D, McFarland NR, Hass CJ. Discriminating features of gait performance in progressive supranuclear palsy. Parkinsonism & related disorders. 2015;21(8):888-93. Planetta PJ, Kurani AS, Shukla P, Prodoehl J, Corcos DM, Comella CL, McFarland NR, Okun MS, Vaillancourt DE. Distinct functional and macrostructural brain changes in Parkinson’s disease and multiple system atrophy. 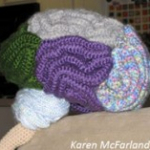 Human brain mapping. 2014. McFarland NR, Dimant H, Kibuuka L, Ebrahimi-Fakhari D, Desjardins CA, Danzer KM, Danzer M, Fan Z, Schwarzschild MA, Hirst W, McLean PJ. Chronic Treatment with Novel Small Molecule Hsp90 Inhibitors Rescues Striatal Dopamine Levels but Not alpha-Synuclein-Induced Neuronal Cell Loss. PLoS One. 2014;9(1):e86048. PMCID: 3896461. McFarland NR, Burdett T, Desjardins CA, Frosch MP, Schwarzschild MA. Postmortem Brain Levels of Urate and Precursors in Parkinson’s Disease and Related Disorders. Neurodegener Dis. 2013;12(4):189-98. PMCID: 3809155. Golde TE, Lewis J, McFarland NR. Anti-tau antibodies: hitting the target. Neuron. 2013;80(2):254-6. Dimant H, Kalia SK, Kalia LV, Zhu L, Kibuuka L, Ebrahimi-Fakhari D, McFarland NR, Fan Z, Hyman BT, McLean PJ. Detection of alpha-synuclein oligomers in vivo. Molecular Neurodegen Comm. 2013;1(6):[ePub].